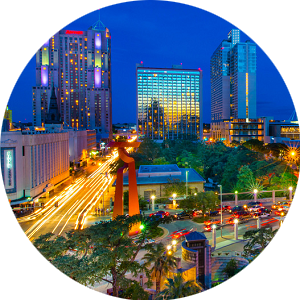 The renowned Alamo City consists of an area of 465 square miles of beautiful South Texas land and some of the finest hill country living in the US. As the 7th largest city in the Nation, San Antonio offers a wide variety of history, culture, diversity, and excitement for every type of individual. The climate is relatively warm during the summer, mildly cool during the winter months and absolutely perfect during the spring and fall seasons. South Texas has the lowest cost of living in the Nation; food, healthcare, and housing options are very economical making the Alamo City the perfect place to retire or live life at a slower pace. From exquisite luxury homes, to high quality gated neighborhoods with excellent schooling options, to modest beginner homes in established subdivisions, San Antonio offers housing and real estate options that will fit any budget. 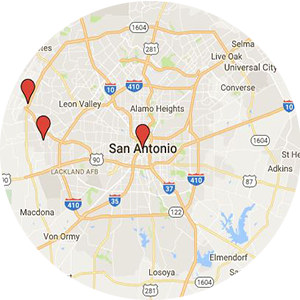 Also known as Military City USA because of our robust military influence and several active military bases, San Antonio offers some of the finest single family home options in the Lone Star State. Live in the beautiful rolling Texas Hill Country or on one of our magnificent lakes or rivers. 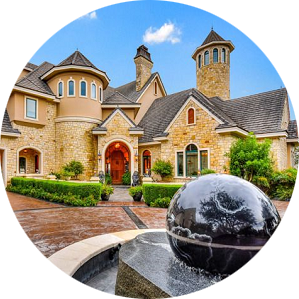 Our gated communities, country clubs, and golf courses are second to none in the state. 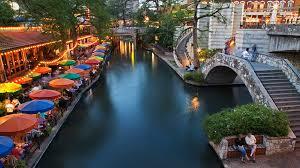 Home of the legendary San Antonio Spurs, Texas Open at JW Marriott TPC, and the fascinating Riverwalk; there is no limit of things to do in this amazing city. One of our best communities is Stone Oak, located on the North Central side of town just outside Hwy 1604 and west of Hwy 281. The school district for Stone Oak is one of the best in the State, located in the North East Independent School District with some of the highest ratings in the city. If you are interested in living to a perfect neighbor with a close proximity to several important places in the city, check out our Stone Oak Real Estate page to learn more about the wonderful neighborhood. Many moving to San Antonio are considering one of our up and coming neighborhoods known as Alamo Ranch, located on the Far West side of town this extraordinary community is one of the fastest growing areas in the country. With a close proximity to Lackland Air Force Base, Seaworld, Fiesta Texas, La Cantera Mall and abundant shopping, dining, and entertainment options Alamo Ranch is the perfect place to raise a family or simply live an exceptional lifestyle; check out our Alamo Ranch Real Estate page for all homes for sale in this outstanding community. There are a number of reasons to consider this amazing city for your next home but none more pertinent than our robust business community, ranked in the top 10 best cities for job opportunities by Forbes magazine San Antonio as everything from Fortune 500 companies to one of the best Medical communities in the Nation. Over the years San Antonio has been more know for it's suburban communities however over the last 10 years more and more condo developments have been sprouting up all over the city. If it's trendy urban luxury living you are looking for, look no further than the Alteza Residences above the Grand Hyatt, right at the heart of downtown and on the Riverwalk. With thousands of options from luxury penthouses to a cozy efficiency we have condo options that could work perfectly for any kind of need or budget. We are The Bishop Group at AE Realty. A local diverse group of full time professional Realtors with experience in wide variety of real estate practice, we have options for every type of buyer and seller; commercial and residential. Located in the blossoming area of Far West San Antonio, our primary focus areas include Helotes, La Cantera, SeaWorld, Hwy 151 Corridor, Lackland AFB, and Alamo Ranch. We first opened our doors at RE/MAX 360 back in 2007, right before one of the toughest real estate markets in US history, we worked twice as hard, made no excuses, and delivered first class results to our clients all throughout that challenging time. Our many years of experience has given us the ability to negotiate effectively, coordinate transactions successfully, and manage all parties' expectations efficiently. Our passion shows in our work ethic and our clients needs come first every time. Allow us to take the stress out of home buying and selling, leverage our experience and tools to get the absolute best results every transaction.